played by Jenn Gambatese), share a friendly moment in "Wicked"
It almost seems inconceivable that it has been more than 10 years since I first caught "Wicked" in previews in New York. 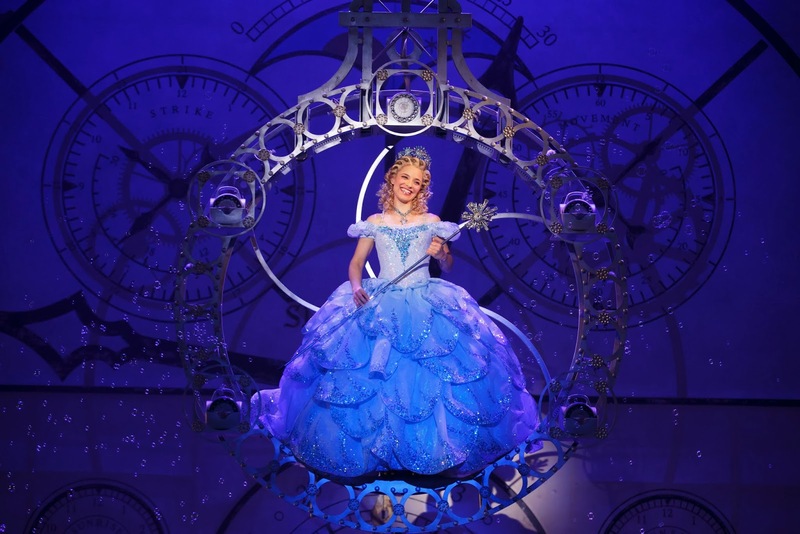 Since that time, the show was named best musical by Time Magazine, recouped its initial $14 million investment in 14 months and has broken numerous box-office records around the world. The original Chicago sit-down production (at the time the first sit-down production of a major Broadway show that the city had seen in years) ran for three-and-a-half years , played over 1,500 performances and grossed a gravity-defying $200 million in box office here in Chicago alone. This marks the sixth or seventh time I have seen the show (I've reviewed it twice -including the original Chicago sit-down production). The Oriental Theater (where the show is again playing through Dec. 21) is practically a second home to Elphaba and Glinda (also known respectively as the Wicked Witch of the West and Glinda the Good). The current production's Elphaba, Alison Luff, appears less comfortable in the character's awkward teen years, but comes into her own when she embraces the "wickedness" of her character. I had particular trouble with Luff's choices during a scene in a ballroom. In previous productions, Elphaba dances alone while the rest of the dance hall stares and laughs. In prior productions, the moves -while strange and certainly unique-have embodied a certain grace and beauty. Luff plays the awkwardness a bit too broad, here. I suppose it makes some sense (given this is the character's first dance party), but we are never really afforded the opportunity to see the inner beauty beneath the awkwardness. Gambatese demonstrates Glinda's preferred mode of travel. Jenn Gambatese's transformation from bubble-head Galinda to bubble-flying witch Glinda feels a bit more real, somehow. 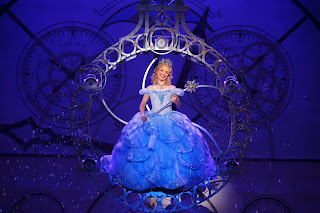 Vocally, she's the best Glinda I've had the pleasure of hearing (Apologies to Ms. Luff, but Ana Gasteyer still holds the title of my favorite Elphaba). One gets a full sense of the moral "weight" her character is carrying in "Thank Goodness," when Gambatese sings about the price of getting everything you want. In addition to knowing her way around the musical's score and dramatic moments, Gambatese's also a great comedian, finding some interesting and unique moments to mine laughter. 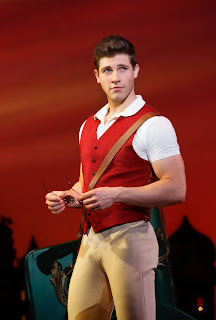 Curt Hansen (Fiyero) can melt more than just two witches' hearts. As Fiyero (the shallow rogue who comes between the two witches) Curt Hansen's movements at the end of the second act -without spoiling too much for those who have never taken a trip down "Wicked's " yellow brick road-are more in line with the character he is revealed to be. It's a nice twist and a welcome sight to those who have seen the show more than a few times. 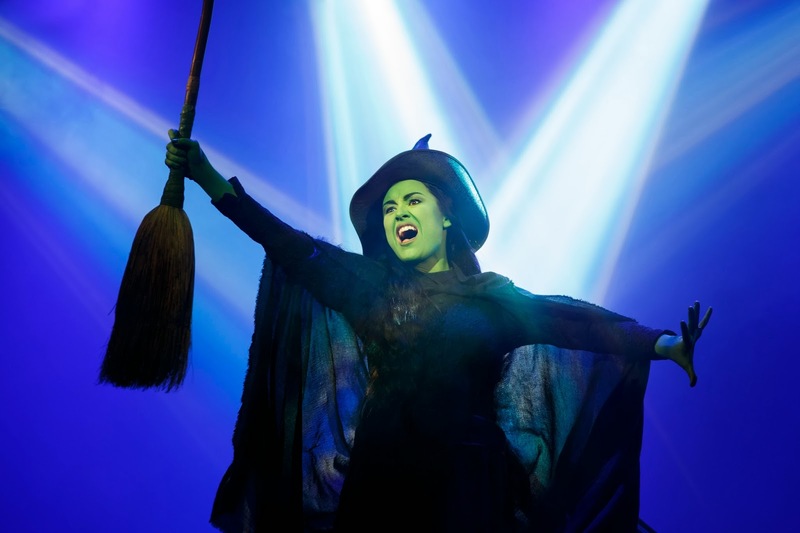 As Elphaba's wheelchair-bound sister (and the future Wicked Witch of the East) Jaime Rosenstein's second act transformation is also more in tune with a collective memory of just who the Wicked Witch of the East is. Never trust a smiling Wizard (John Davidson). The show's Wizard, John Davidson, is a bit more "used car salesman" that corn-fed huckster for my tastes. And yet, when he sings of longing to be a parent, it's with heartfelt sincerity that works particularly well. Kim Zimmer (Reva Shayne on "Guiding Light") does as much as she can with the thankless role of Madam Morrible, given the character is the least nuanced of any of the main characters and serves as the only true villainous person in the show. 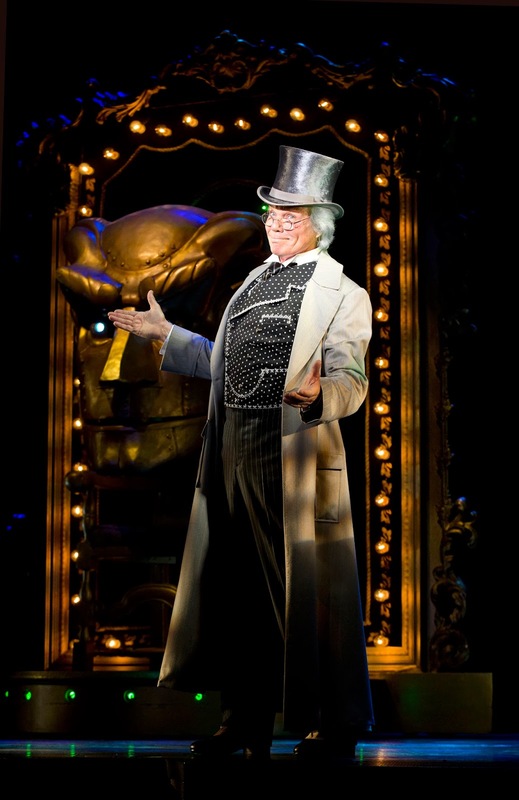 "Wicked" is starting to show its age, at least in one regard. A comment late in the second act regarding a "regime change," which caused a collective audience gasp 10 years ago in the New York preview performance, doesn't hold the power it once did. Though we are still paying for the Iraq war (and will be doing so for several years), Americans have moved on -at least politically. 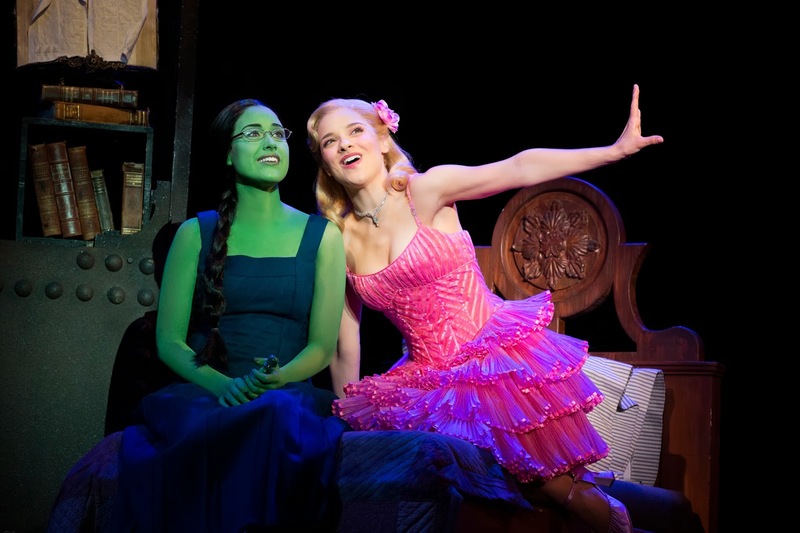 "Wicked" still holds much magic, however. "For Good" -the duet between the two witches, still speaks to that special bond of sisterhood, motherhood and basically any other 'hood you can think of. Additionally, pretty much anyone should be able to identify with one of the show's central themes: that we sometimes have to abandon our idols, lovers and friends in order to reach our own potentials and soar. over Lake Michigan in "In Bloom"
The joy and pain of first love are front and center in “In Bloom,” an ambitious and heartfelt drama to be screened during Reeling, the Chicago Lesbian, Gay, Bi and Transgendered International Film Festival. Set in Chicago, the film has won critical praise for the first-time writer and director, former Columbia film student Chris Birkmeier. Critics have likened the actors’ performances to the natural Chicago style of theater performance seen regularly at Steppenwolf, Lookingglass and others. 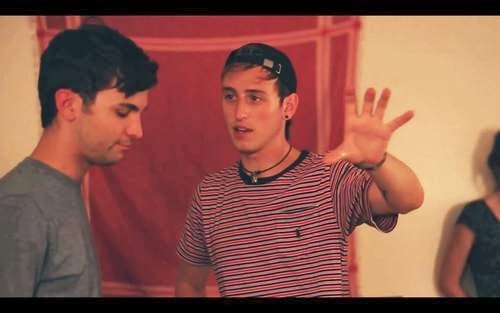 The film follows the relationship between pot-smoking drug dealer Kurt (Kyle Wigent) and goal-oriented Paul (Tanner Rittenhouse) as it plays out over the course of a typical Chicago summer. Local stage actor Adam Fane (“Avenue Q”) plays Kevin, the man who comes between the two. Now 23, Birkmeier began writing the script when he was 20 and studying at Columbia. It is loosely based on his own first serious relationship. “I came out at 19. I met said person. We had a four-year, on-and-off relationship, and I started writing to try and put it all in perspective,” he says. direction to Rittenhouse on set. Perhaps complicating things further, co-star Rittenhouse is Birkmeier’s good friend and was around as most of the real relationship flamed out. Reeling Film Festival program director Richard Knight Jr. says it wasn’t just the Chicago setting that made him want to include the movie in this year’s festival. The film was shot over a period of 23 days, in and around Chicago. Tthe shoot didn’t always go smoothly. The final cut of the film contains the scene with the vermin, but even that wasn’t the most difficult shot. The main cast and Birkmeier, who now calls Seattle home, will be reunited at the screening of the film that Birkmeier calls his love letter to Chicago.